staff involvement are key factors in our success. ​Gab Aghion is tertiary qualified (Bachelor of Science; Honours in Organisational Psychology and Change Management) and has well over 20 years of project management experience guiding organisations through the search, fitout and relocation process. Commencing his career in 1997 for a multi-national and then contracting, Gab founded BRM Projects in 2004 with the goal of providing a single point of contact for companies navigating the search, fitout and relocation journey. In 2010 and following a client's compulsory acquisition and relocation, Gab and BRM Projects successfully tendered and delivered every relocation assessment for the Regional Rail Link, reporting to the Valuer-General Victoria, Department of Transport and Regional Rail Link Authority. Since then Gab has provided advice at Federal, State and Council level for both Authorities and claimants, and to date has prepared hundreds of assessments including expert witness evidence in the Supreme Court, Magistrates Courts and VCAT. Peter Northwood is an experienced auctioneer, lease negotiator and asset manager, there are few circumstances that he has not been involved with. From complex lease negotiations dealing with tenants, to asset strategy advice and rental review strategies Peter has bought and sold property privately and at auction successfully for many clients. Peter is considered by his clients to be a valuable resource to their executive team. Highly experienced property executive with a strong commercial property background, managing multi and single site portfolios. Highly developed competencies in negotiating complex leases and developing and maintaining excellent communication and management skills. 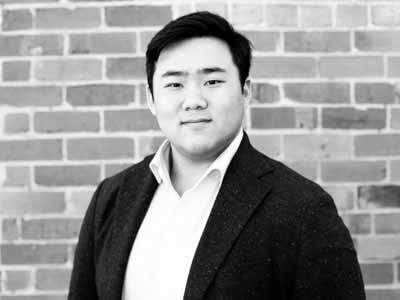 ​Andy Zhang is tertiary qualified (Bachelor of Environments & Masters of Property) and has a strong understanding of commercial markets within Australia. Combined with a high level of communication and organisational skills, and a passion for property he is our number one property advisor and junior project manager. Andy has been with BRM Projects for several years working on compulsory acquisition and business relocations. He has accumulated a vast amount of experience and has assisted with well over 200 relocation assessments. Example projects include MMRT, WGTP, LXRA, EWL and claimant side cases. With a strong knowledge of property legislation, planning and strategy, Andy adds a new dimension to our corporate real estate and accommodation strategy offering. 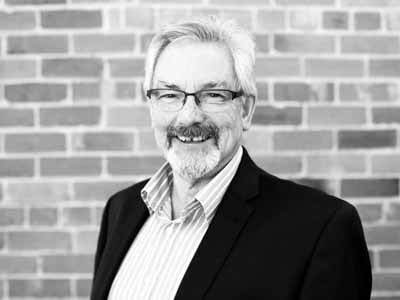 Steve Schmidt has over 15 years creative and commercial experience in Australian retail, fashion and hospitality industries supported by tertiary training in architecture and sustainable design. Steve offers an unique suite of design skills and business understanding - ensuring client's projects are translated and delivered to meet every need - functionally, economically and stylistically. "We get our kicks from building something truly functional and inspiring - combining design and accommodation strategy to encourage cohesive workplace cultures that drive growth and success". ​Beatrice Poirier Laforce is a graduate of the University of Montreal in Interior Design and Advertising and the Old Montreal College in graphic design. With a strong background in interior design, graphic design and advertising, Beatrice ensures every project delivers a tailored and unique brand story through to the built environment. In a world of mass marketing, BRM Projects' 'beautifier', is passionate about using space as a physical embodiment of brand to create a ‘brand space’. It’s about exposing the true meaning of your brand and using your physical space to translate your aspirations into functional, thoughtful reality. ​Maya Feldman is a creative communicator with diverse experience across the corporate, healthcare, education and design sectors and has the ability to engage with stakeholders at all levels and influence client outcomes and experience. Maya's background of developed research, analytical ability and strategy development, combined with creative thinking ensures that stakeholders are kept informed and all matters relating to governance, policy and regulatory processes are considered. Ilana's strengths in 3D modelling and technical documentation help bring BRM projects to life and on to site. With a passion for transforming interior spaces and the attention to details, Ilana enjoys the dynamic relationship between the built environment, the human experience and architectural research. Ilana is currently completing her bachelor & honours course in Interior Design at RMIT. Alex is a highly motivated and dynamic professional with over 15 years of project delivery experience, specialising in corporate real estate strategy, growth and succession planning and relationship management. With a broad background across education, fit-out, telecommunications and advertising, Alex is a proven communicator with strong attention to detail and a 'get stuff done' attitude. An unparalleled work ethic and focus on efficiency ensures that Alex delivers every project on time and within budget. 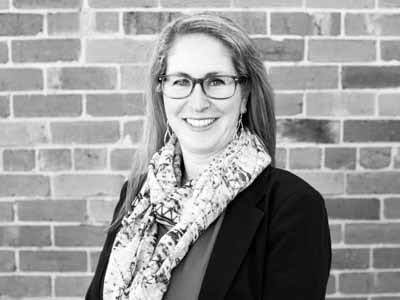 Nicole has over ten years of experience as a marketing director for small to medium enterprises, both in Australia and overseas. Her work spans across a wide range of industries from real estate, to design and sports. Tertiary qualified (B.A. at Melbourne University, M.A. in Creative Media at RMIT) and highly skilled in communications, Nicole brings the BRM story to life through effectively delivering our brand's message to stakeholders and the wider community. Blondie understands that business has become an emotional experience for everyone involved, a human experience that must be nurtured, promoted and developed if a company is to thrive. Without a vibrant culture of alignment, recognition and innovation even the best viability strategies miss the mark. The appointment of Blondie as Culture Officer ensures that the evolving strategies, ideas and implementations generated at all levels of BRM are in alignment and in sync with the company’s overall mission and business imperatives. We're always looking for talented people to join our team. If you're interested in what we do, shoot us an email.